It’s that time of year again! The kids will be heading back to school in just a few weeks. Get ready for all those obligatory back to school pics with this quick and easy First Day of School Photo Prop. 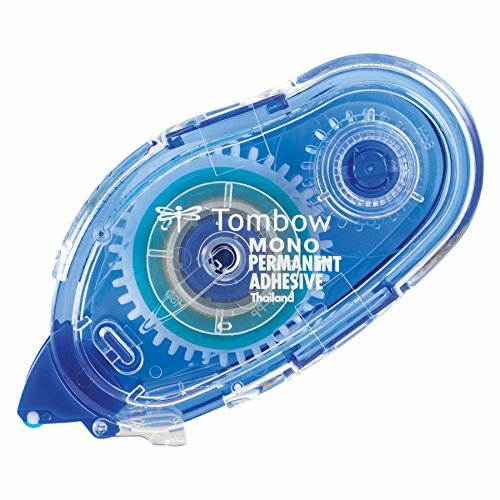 It’s magnetic so you can use it year after year and just change the grade. With three kids heading back to school, I needed something that could be written on or changed easily in between kids. My initial thought was to get a small chalkboard. However, three craft stores later, I couldn’t find one. So I decided to break out my trusty Cricut and make one using a dry erase board. By making the grade numbers magnetic, I can easily change the grade levels in between kids. 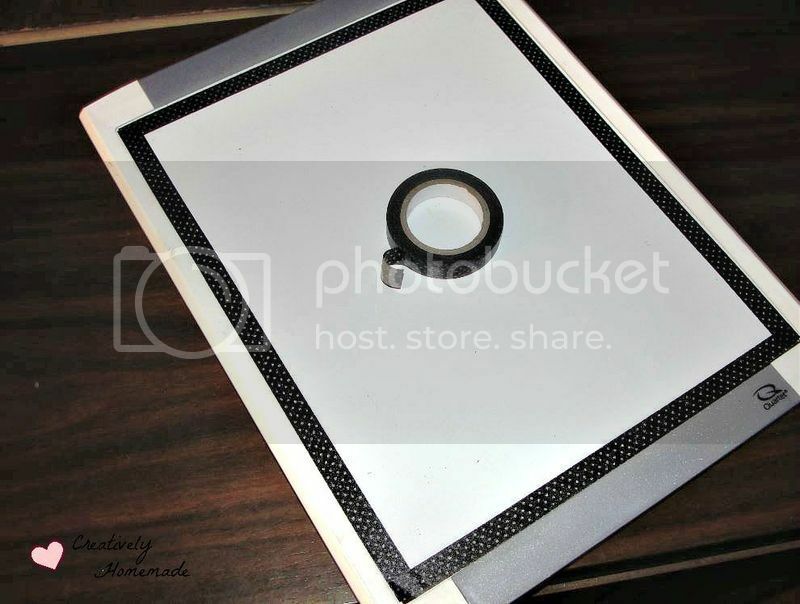 Start by bordering the dry erase board with washi tape. 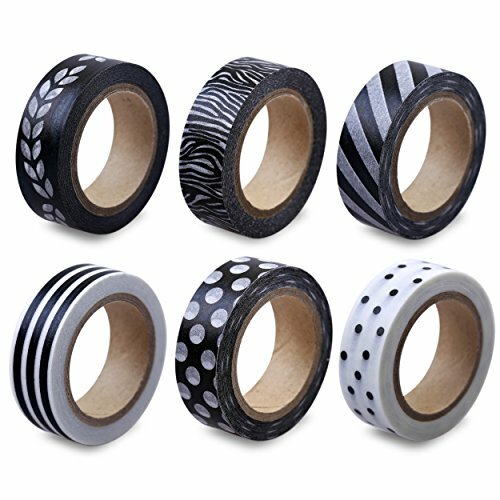 Washi tape is repositionable if you don’t get it lined up on the first try. 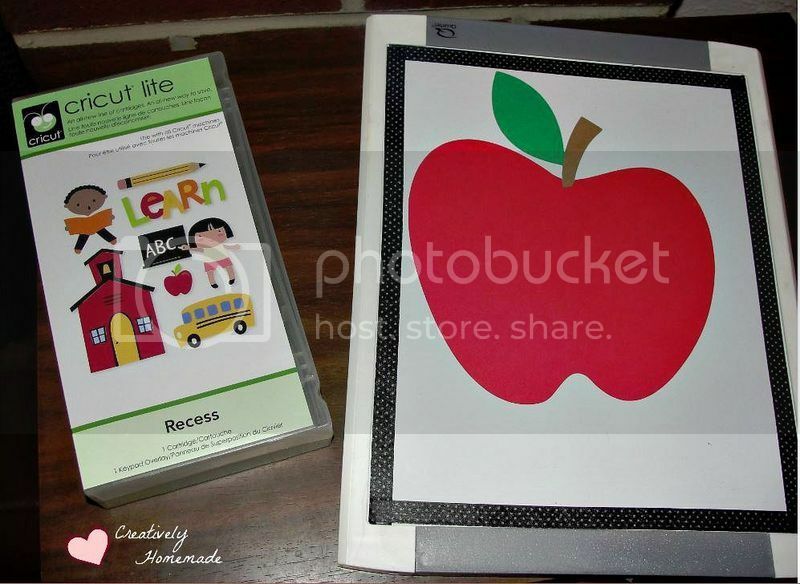 Next use the Recess (or Makin’ the Grade) Cricut Cartridge to cut a 7″ apple. Cut the stem in brown and the leaf in green and then adhere to the main apple. 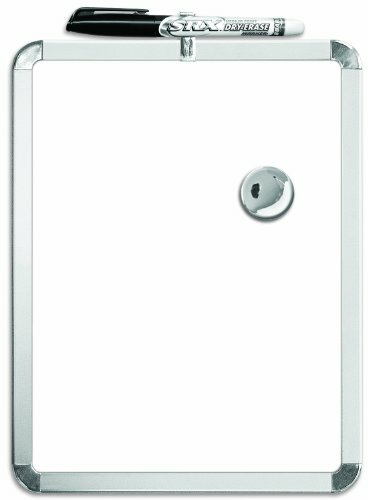 Add adhesive to the back and stick to your dry erase board, near the top. You could use magnets on the back of the apple if you want to be able to use the board for other purposes. However, I am only going to use this for a first day of school photo prop so I stuck it right to the board. 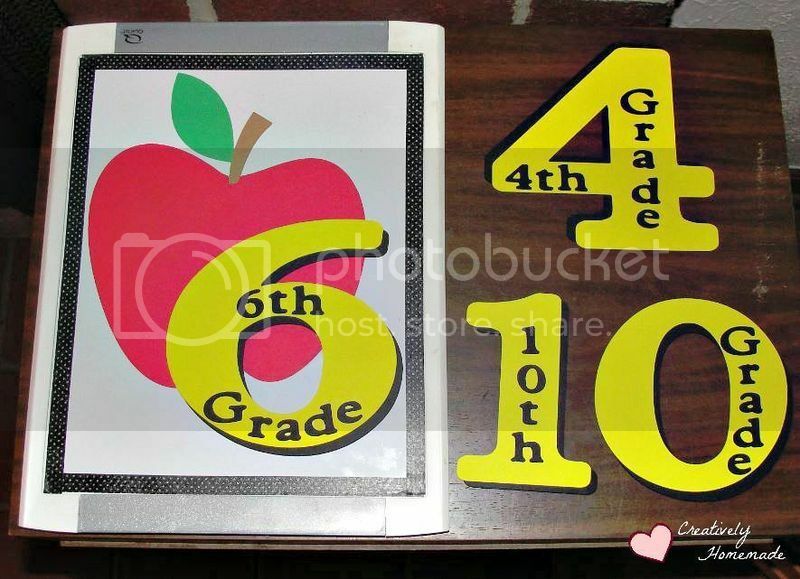 Now cut your desired grade number from yellow and black cardstock. 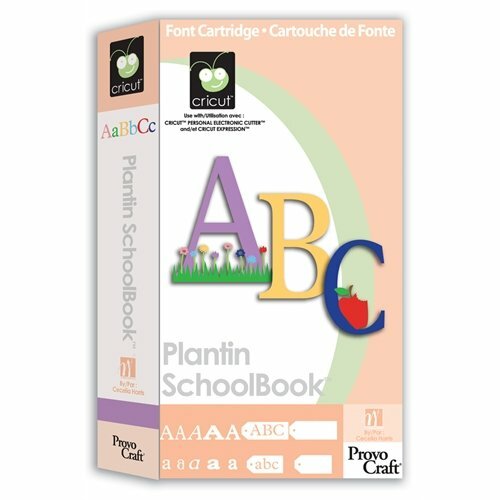 I used the Plantin SchoolBook Cricut Cartridge. I cut 6″ numbers with the roly poly setting. With the black number behind the yellow one, offset it a little so it looks like a shadow and then use your adhesive to stick them together. Now cut 3/4 inch letters from black to spell out the grade (also with the roly poly setting). 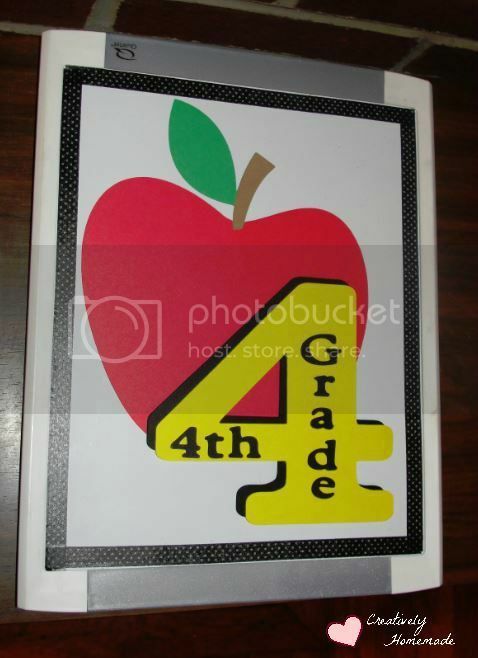 So for example I cut out “4th Grade”, “6th Grade”, and “10th Grade”. Then stick these on your large number die cut. I suggest playing around with the arrangement to see how you want them before you put any adhesive on the back. Once you are happy with the placement, then adhere them to the large number. The Xyron sticker maker is great for small shapes like this! 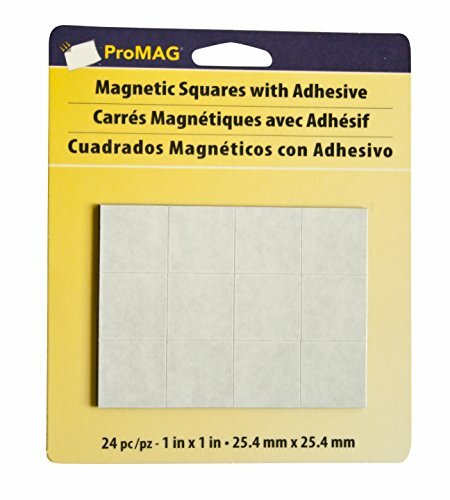 Cut small squares from your magnet strips and stick to the back of the large number. This way you can reuse the board from year to year. It also makes it super easy on that first day of school to switch the numbers out if you have multiple kids. 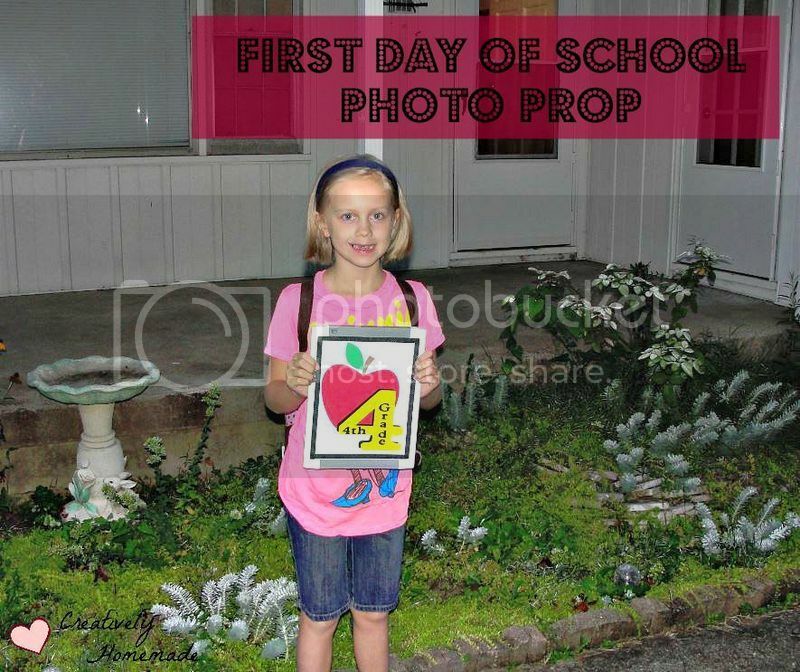 And there you have it – a quick and easy first day of school photo prop. 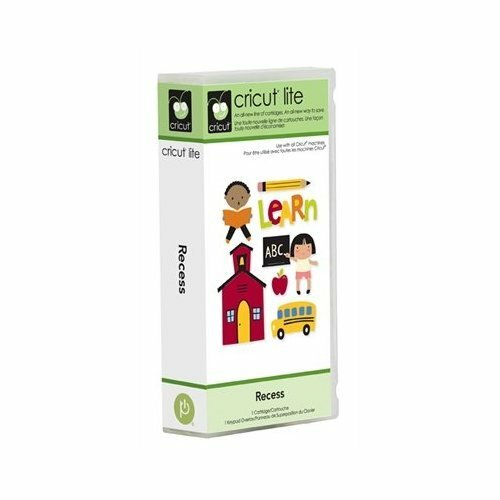 For even more fun ideas, be sure to check out my Back To School Pinterest Board. So tell me… What sorts of fun back to school crafts have you been making? Be sure to leave a comment below and let me know what you have been creating. This would make a great tradition for my kids. That’s awesome! I have to get ready to do our official pictures. That turned out so cute – I love how you made the number stand out and look 3D, the final picture looks great! This is a great idea. I love seeing the pictures of back to school kids and seeing their growth. It’s nice to be able to create something that tells the grade so you can compare years at a glance. 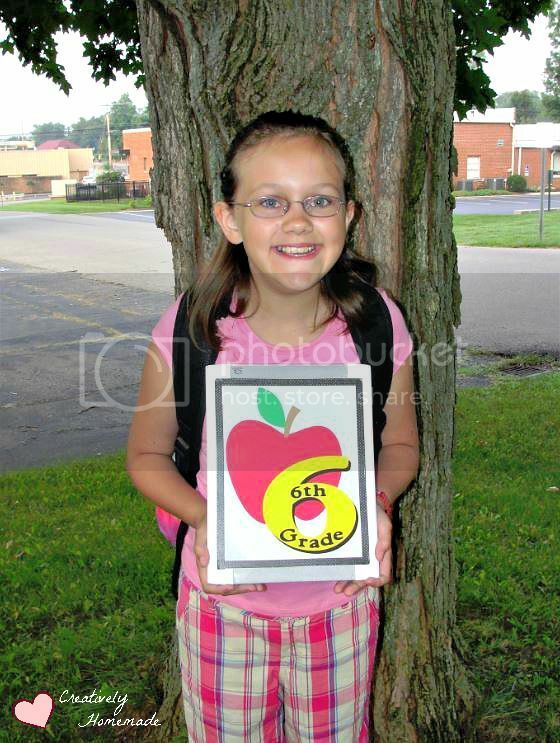 My kids are older now, so I can’t get them to hold a 12th grade photo prop. Lol I wish I would have known about this when my kids were little what a great idea!